A bellydance class should be about learning technique and a bellydance fitness class should be about getting a workout! Why consider teaching a bellydance fitness class? It meets the wishes of those clients who want more of an aerobic workout. It brings more bodies through the studio and see what else you have to offer. It wets the appetite of someone who, while interested in getting fit, will also want to learn more about the dance aspect of it. "Teaching is a skill…teaching fitness is a skill set all by itself". What differentiates a typical bellydance class from a workout class is "flow". In this workshop you will learn the 4 components of "flow" that bellydance fitness offer with the fitness enthusiast in mind. Music: the difference between traditional vs. fitness music. Counting: how to hear and count the 32-count that is standard in teaching fitness. Breakdown: a logical, easy-to-follow breakdown so that people without dance experience can understand. Cueing: this is not about "follow-the-leader", but actual verbal cues to cue the next movement to ensure flow. Oreet has been teaching bellydance fitness since 1998, beginning her career in NYC and has taught all over the U.S. and over seas. She has an extensive backgroundin teaching standard fitness and has taught at popular health clubs such as Equinox, Sports Club LA, Bally's, 24-Hour Fitness and Gold's Gym to name a few. Along with teaching fitness she also is the founder of SharQui- The bellydance workout® and has presented at fitness and dance conferences in the U.S., Japan and Israel. You can learn more about the SharQui Workout at www.sharqui.com and you can find out more on how to get certified to teach SharQui at www.teachsharqui.com. Hi, I’m Oreet – As you’ve probably guessed, teaching people how to bellydance while getting a workout (and having fun) in a supportive atmosphere is my sweet spot. I’m super-passionate about teaching and able to encourage and challenge participants while still helping them find their way. And when it comes to turning people who thought, “I can’t do that!” into “Oh snap, I really can!” or “I’m too fat!” into “Damn I’m fabulous” – I’m the one. I’ve got 20+ years of experience as a fitness instructor plus grew up with art form of bellydance— and I’ve led packed classes and workshops in the U.S. and Japan. I’ve been featured on NBC, ABC, CBS, and CNN to name a few and have the titles Bellydancer of the Year, Jewel of the Nile, Entertainer of the Year and Middle Eastern Dance Champion of North America. 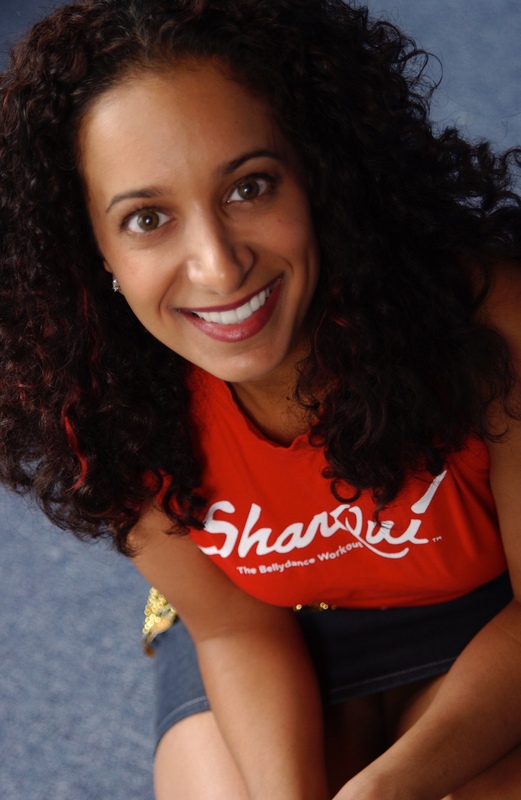 I have been growing my business, SharQui, since 2000 and have almost 100 instructors globally. I hustled with heart for many years without mentors and have made expensive mistakes. The key is, stay with it. I’m honored to be a part of the Belly Dance Business Academy as an instructor! (wish BDBA was around when I was growing my biz). I will be offering classes on how to up level your teaching career, marketing, business set up, how turn your bellydance class into a fitness class, bellydance competitions, and more. Thank you for the honor of being your coach!